Do you ever have a bad morning commute? I think most of us experienced that at least once. Congestion level is a figure that can be used to measure the rush hour traffic. Increase in overall travel times when compared to a Free Flow situation. For example, a Congestion Level of 12% corresponds to 12% longer travel times compared to a Free Flow situation. The Traffic Index figures are based on speed measurements from TomTom's historical traffic database. These speed measurements are used to calculate the travel times on individual road segments and entire networks. By weighting based on the number of measurements, busier and more important roads in the network have more influence than quieter, less important roads. This makes the statistics match the user experience of people driving in the cities. Delay per day with a 30 min commute: Part of the commuting time caused by delay. Based on two 30 minute peak period journeys per day. Only measurements during peak periods are taken into account. Delay per year with a 30 min commute: Total accumulated delay per year with a 30 minute commute. Based on 230 work days per year and two peak period journeys per day. Only measurements during peak periods are taken into account. Evening peak: The busiest one-hour-long period in the evening, based on real traffic measurements. For evening peak statistics only measurements during the evening peak periods are taken into account. 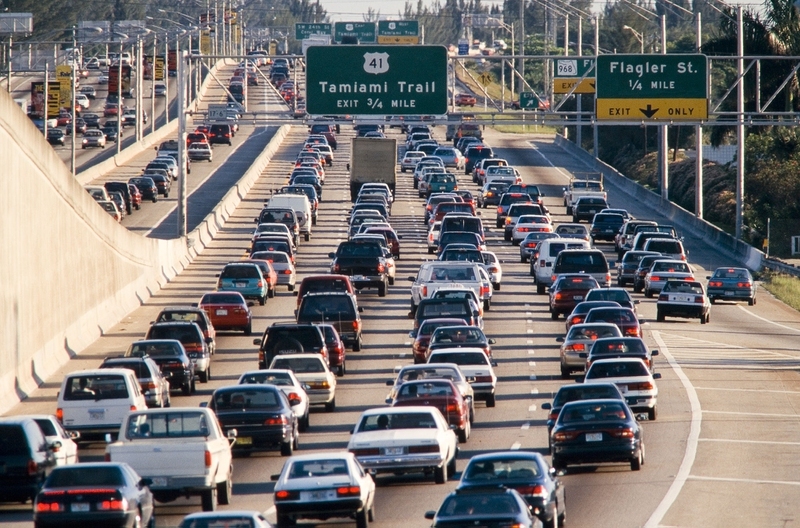 Free Flow: A traffic situation in which travel times are not worsened by traffic congestion. This most typically occurs during the night, but can happen at any time of the day. Highways: Statistic which only takes measurements on highways into account. This is based on Functional Road Classes, an industry standard that defines different road categories. Morning peak: The busiest one-hour-long period in the morning, based on real traffic measurements. For morning peak statistics only measurements during the morning peak periods are taken into account. Network length: All navigable roads within the urban areas. Non-highways: Statistic which only takes measurements on non-highways into account. This is based on Functional Road Classes, an industry standard that defines different road categories. World Rank: Rank of the cities with a population greater than 800,000. The rank is based on the Congestion Level. Filter Rank: Rank of the cities in the selected list as defined by the user. The rank is based on the Congestion Level. Total vehicle distance: Total distance covered by all TomTom GPS measurements, specified per city and time period. Server responsed at: 04/24/2019 4:16 p.m.